Anchor Chart We have created an anchor chart you can use in your classroom during your study on inferring. This anchor chart includes phrases students might use to begin their inferences. One aspect of inferring while reading is using the skill of inferencing to determine the meaning of new vocabulary words. Ideas and suggested texts for this skill can be found here: Inferencing to Determine the Meaning of New Words. After working on using inferencing to determine the meaning of new words, we moved onto using photo promps. You will find these prompts and activities here: Inferring From Photo Prompts. It’s a Mystery! Put an object in a bag and give the students 5 clues about your object. After each clue, allow students to guess what your object is. Explain to students that they are making an inference each time they guess based on what you are telling them. What Can You Infer? Print our story cards and laminate. Please these cards at a center along with copies of the Inference Recording Page. At the center, students choose a card and make an inference about what is happening. Who’s Been Here? books This series of books, written by Lindsay Barrett George, is great! We created a Who’s Been Here? Organizer for students to complete with the books. The first book we like to read with our class. We model how to complete the organizer. Then, we place the other books at a center for students to complete independently. For younger students, you might choose to read the other books as a read-aloud before having students complete the center. We are always looking for great poetry books to add to our libraries, Creatures of the Earth, Sea, & Sky is an amazing addiiton! This book is a collection of poems. They are perfect for inferencing lessons. Students use their background knowledge to infer what animal each poem is about. These are also great poems for encouraging students to act out! Thank you so much for this website! I stumbled upon it and I am so glad that I did! I’m definitely going to be using everything that I downloaded today! I so appreciate you thoughtful lessons and your suggestions for books. Thanks so much! 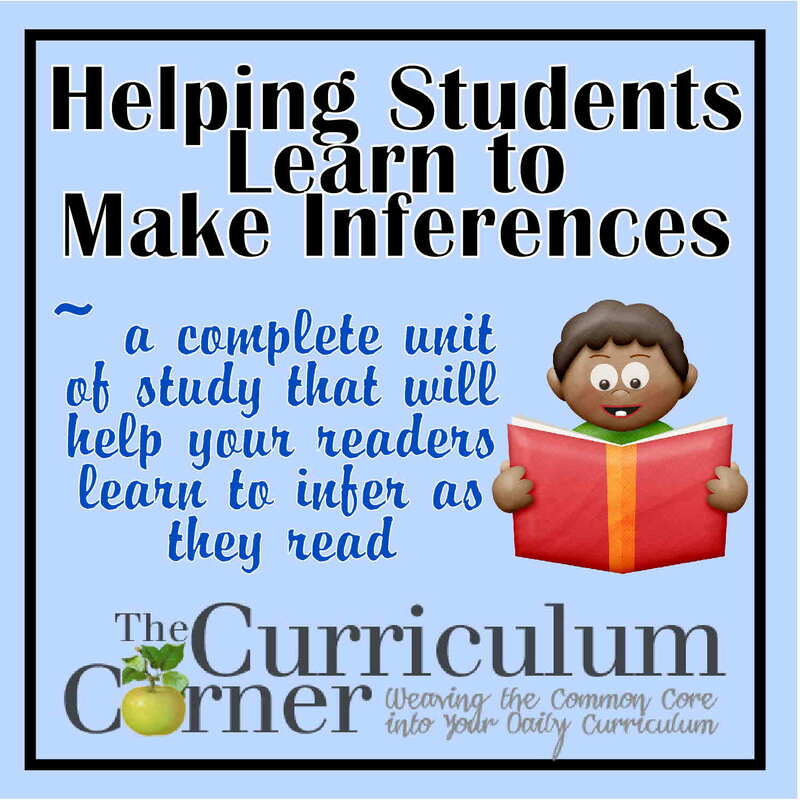 Thank you for these informative ideas for teaching young readers how to make inferences. This whole website is a great resource! I too stumbled on this website and it is great! I’m a reading specialist and work with students in small groups and also push-in to classrooms and model lessons. The unit and lesson ideas are thorough and research based. I’m definitely goimg to share this with the teachers I mentor. Thank you so much! I am very excited to use these resources.